Ooh! Now that’s a dreadful topic, isn’t it? Trimming or clipping nails strikes fear into both the dog and us, the owners. Well, clipping long toenails make your Canine friend fussy. We too get nervous by feeling for our pets. Most of the time, we don’t have the right tools for the job and/or lack the understanding of the process. That is where this article fills in the gap. This short piece will tell you when and why your dogs need nail trimming and how to go about it. Many would call in a professional trainer or a Vet for the job. I prefer to do that from the comfort of my home. How? Let us go over few of the tools, tips, and tricks of the trade to find out! 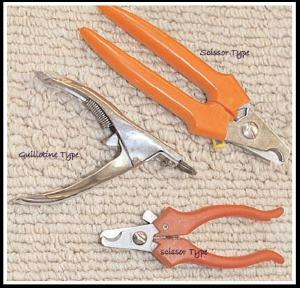 First Thing’s First – Why Should We Even Care About Clipping Dog Nails? If our canine friends aren’t too outgoing and active, over time dog nails will grow and start to irritate them. Overgrown dog nails tend to push back on the nail bed when our pets walk on stone-made pavements or wooden floors. Believe me, it hurts. Our wild four-legged friends have had short nails for as long as they existed. The problem started when we began to domesticate them. Over time, domestic canines grew bigger nails. Bigger nails result in “Camped in” posture where dogs keep their paws together. This posture is also called “Goat-on-a-rock.” You’ll find your dog facing difficulties while jumping in cars and walking as the paws hurt like hell. It can even cause arthritis. This is the second reason why I advocate for dog nail clipping. That too, at home. The first thing you need is a dog nail clipper. The way I see it, you have two options. First, you can use the “Scissor” type or the “Guillotine” type would be just fine. The first one works when you put the nails between the blades and push the handles. The second one has a hole where the nail goes. Then there’s a blade that slides in place to cut the nails. Just in case you are a bit careless and cause a bleeding, I’ll advise you to keep a styptic powder to put an end to the bleeding. Also, choose an optimum time to do it. It’ll be best if your dog is comfortable while you clip his nails. You can also cut the nails after the canine comes home from playing. 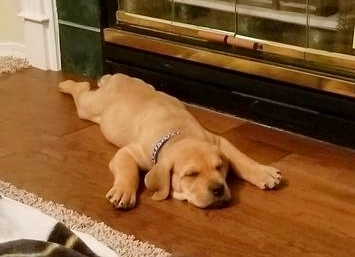 He’ll be too tired to move around. Position your hands on your dog’s paw in a way that you can be gentle yet firm on the grip. Wrap your fingers around the pad and put your thumb on top. 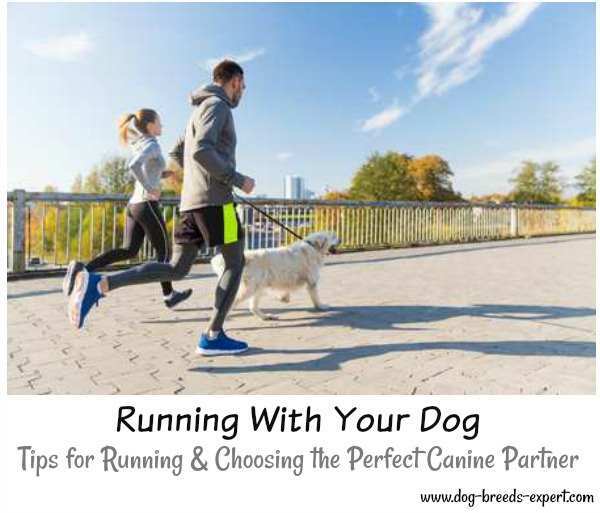 You’ll do well to identify the “Quick” of your canine friend. A “Quick” is essentially the blood vessel inside the nail that should not be cut. The second thing would be to find out where you want to make the cut. Experts advise cutting less than you can at the first attempt. You should use quality clipping tools for the job. Calm your dog and give him a nice treat to make your job easy. Always try and cut the nails from top to bottom. This will keep the claws sharp. This way, you won’t split the nails. Always cut the dog nails in a straight line and be perpendicular. It will help to keep the shape of the nails intact. When it comes to the back feet, lay your dogs by the side and clip the nails. 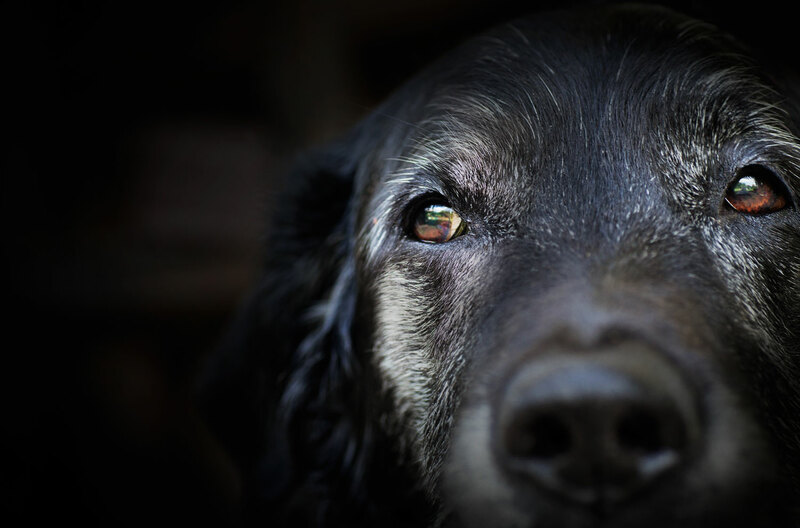 If your dog has black nails, you’ll have difficulties cutting them and accidentally, you might cut the quick. Always try to make the first cut at 45-degree angle for your dog’s safety. Let’s face it. Accidents do happen. Despite all the cautiousness in the world, people tend to cut into the blood vessel inside the canine nail. Fortunately, we do have styptic powder at hand (if not, simply go for cornstarch, soap bar or even flour). Calm your dog before tending to the cut and distract him from the pain. Giving him something delicious should help. Also, don’t let it run off somewhere. It will only amplify the pain. Then, hold the paw and apply the powder with some pressure. Keep the pressure constant all the time. The trick here is to apply the styptic powder for as long as possible to stop the blood loss. 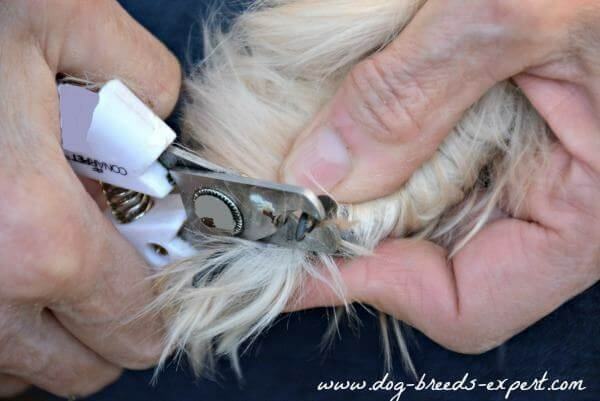 Clipping dog nails is easier than you think. 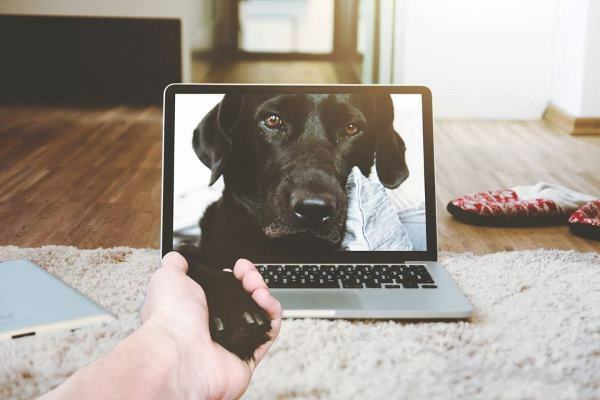 With the right tool, a calm dog and steady hands you can do it at home. The trick lies in what dog nail clipper you choose. I personally prefer the scissor-style clippers as they grant you more control. From there on, everything depends on how steady your hands are. There are some dogs that move abruptly during the procedure. It is better to contact a professional groomer or even a Vet for an efficient nail trimming for these canines. 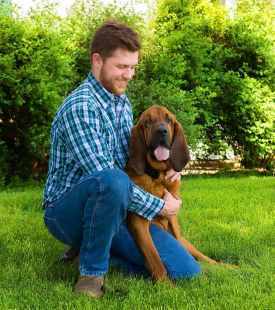 John Howes is the founder of Petcareup. 29-year-old, entrepreneur, Pet lover and passionate blogger.